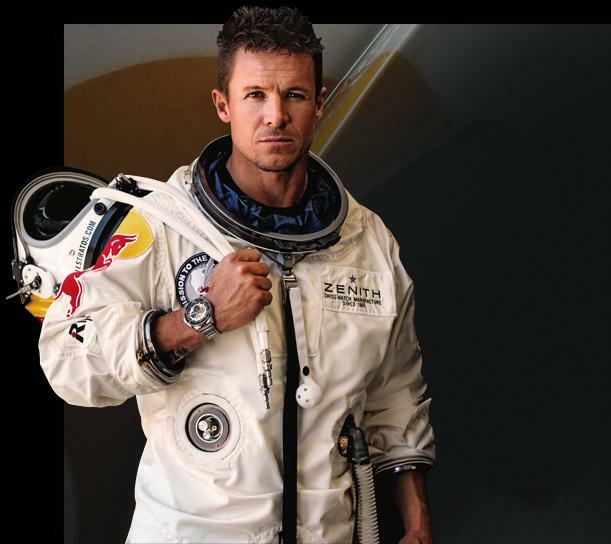 Zenith Ambassador Felix Baumgartner is set to break the sound barrier with the human body. 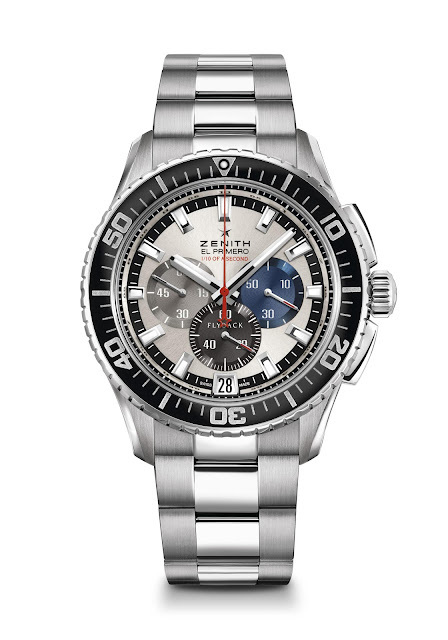 Wearing the all-new El Primero Stratos Flyback Striking 10th chronograph, Zenith Ambassador Felix Baumgartner is taking the plunge in the summer of 2012: the Austrian will jump out of a capsule suspended from a balloon in the stratosphere at an altitude of over 120,000 feet / 36.5 kilometres, nearly four times higher than passenger planes typically fly. It’s a mission to the very edge of space. • and, a world first -breaking the sound barrier with the human body. Should Felix Baumgartner succeed in breaking the sound barrier while descending to earth, it will be a Zenith firmly clasped around his wrist, and the first watch in history to cross the sound barrier in a near space environment. This mission in the stratosphere will test the reliability of Zenith watches under the most extreme conditions: temperature, low pressure, speed, friction, and impacts. As the heir to the Rainbow Flyback model developed for the French Air Force in 1997, the Stratos is equipped with the world’s most accurate automatic chronograph movement – the legendary El Primero – as well as the Striking 10th and Flyback functions. Watches and cockpit flight instruments are subjected to abrupt variations in pressure, intense vibrations and violent accelerations – from 9G to 11G. With its robust construction, the El Primero Stratos will be right there with Felix Baumgartner as he tests the edge of the human envelope. 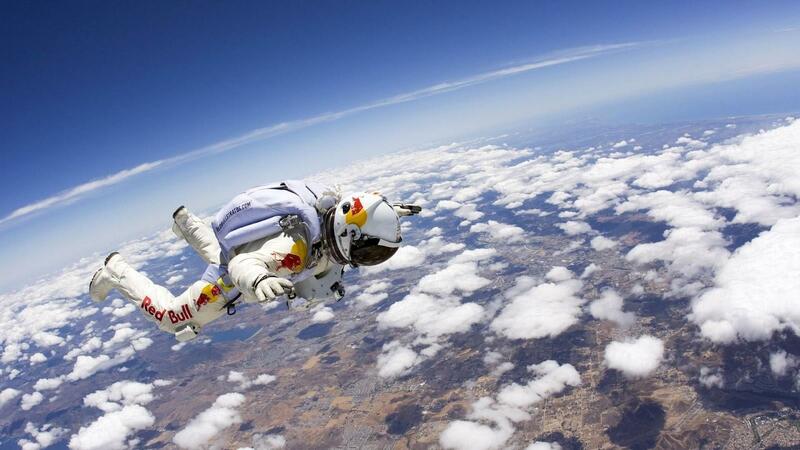 Win a chance to meet Felix Baumgartner! 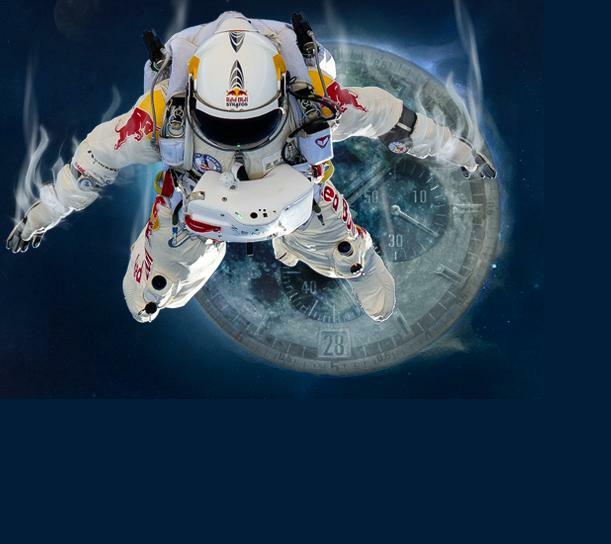 From July 30 to August 30, 2012 Zenith is organising a contest offering the winner an exclusive chance to meet Felix Baumgartner. Participants may also win a special Red Bull Stratos bag. For your chance to win, simply estimate the correct time taken by an El Primero Stratos Flyback Striking 10th watch to fall from an altitude of 36,500 metres. See the Zenith microsite for further details.